LOUISE is here tonight to tell you a little bit more about the KnitBritish Breed Swatch-along and how you can get involved with discovering the deep wonders of swatching – and WOOL – this WOVEMBER. I took this picture at Shetland Wool Week 2014. It is a fine (prize-winning) fleece and, to me, it speaks volumes about that breed’s wool. It has crimp, it is fine and you can almost feel the softness from the image, along with the gorgeous lanolin greasiness. The colours too are very distinctive; fawns, light browns, greys and lightened tips. I really want to place my hands on that fleece and I love how the image picks up the very fine nature and the lightness of those fibres. It is no secret that I love Shetland wool and one of the main reasons that I love it so much is that knitting with this yarn means you are knitting an item as an investment for the future. It is a yarn that truly gets better and better over time – every wash and every blocking ensures the fabric gets softer, woollier and more and more wearable. …do you ever really think about these factors when you squish that ball of yarn in the store? Do you imagine what the skein in the shop will be best suited to or if your finished item will have a suitably long life? My focus at KnitBritish is to always promote wool that has been grown, spun or dyed in the UK, but this year I wanted to really get people thinking about beyond the squish of the ball of yarn. At Edinburgh Yarn Festival I held a wool tasting (no wool was actually consumed). For each breed I had a small ball of yarn and two swatches, one of which had been washed and blocked. The differences people found from ball – what I call the hand-squish-grab – to washed fabric were quite diverse. People described the squish of the ball of this Llanwenog as dry, firm, rough and resilient. One of the comments on the washed swatch read – “WOW! So much softer when washed! So soft and bouncy.” From dry and resilient to soft and bouncy is quite a jump through three stages and it made me wonder what could be discovered by spending more time on the swatching. The breed swatch-along grew out of this and grew quickly. Knowing how diverse our sheep breeds are, and appreciating that they all have their own textural characteristics for me was the biggest draw in terms of exploration. The idea of knitting a swatch and taking field notes on the knitting process is possibly not new to some people – some people have wonderfully detailed project notes that put mine to shame. However, extending the swatch process to noting observances on how it washes, how it blocks, and how it wears and repeating that to watch if and how the fabric changes would reveal so much more to us than a tension square might and definitely more than that initial hand-squish-grab. Take notes and images at each stage of the knitting and test-drive washing, blocking and wearing process. There are test-drive guidelines at KnitBritish, but in addition to that the wonderful FELIX has been inspired to create some spectacular stationery for your wool exploration. 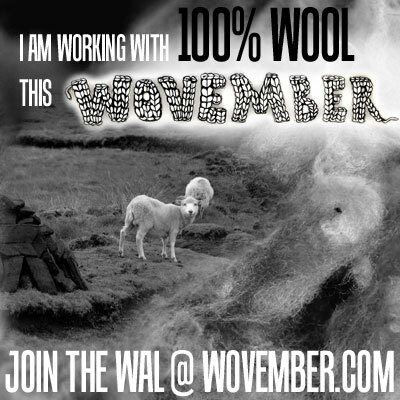 WOOL can native breed, rare breed or simply what is available to you in your local area. You can choose your single breed wool by fleece category, work your way through the breed types, check out some of the small producers mentioned in Felix’s post or just seek out what is local to you. This SAL is open to any single breed yarn, whether British or not – what is important is discovering what your local resource is. Whether you knit one swatch or 101, the main point is that we try to discover as much about our local breeds as possible and hopefully make more people aware of what single breed yarn is like to knit with. How wonderful will it be to have people armed with such reviews when trying to select a breed yarn that they have never crafted with before. By taking part in the SAL we are not only discovering the unique characteristics of breed wool for ourselves, but empowering other knitters and crafters with that information. Another key part of discovering those characteristics is the repeating of the washing, blocking and wearing process to see how indeed the fabric may change and we have had some comical examples of how the swatch has been worn to test it out! 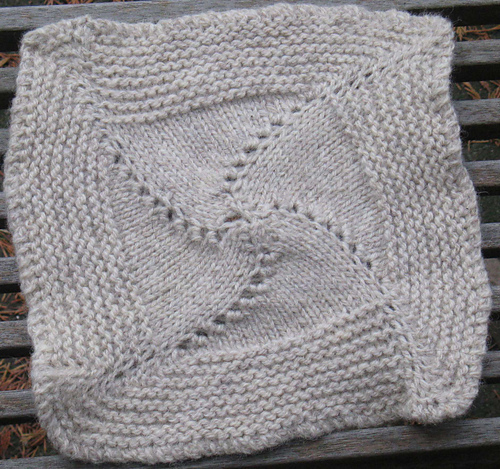 There is a swatch great community in the KnitBritish ravelry group – people from all over the world – who are discussing the yarns they are using, the breeds they want to seek out and their swatch progress. It is incredible to see how, even early on, people are being surprised by the changes from the ball of yarn to the swatch. It is also very interesting how people using the same breeds are finding differences in things like spin, shedding, feel, etc -another example of how diverse wool can be! I will be sharing some of the swatch reviews with you over WOVEMBER but as a taster, here is Blithe Spirit’s review of her Norfolk Horn swatch. Skein Squish: It feels crisp and bouncy but also firm. There’s a medium softness to it. 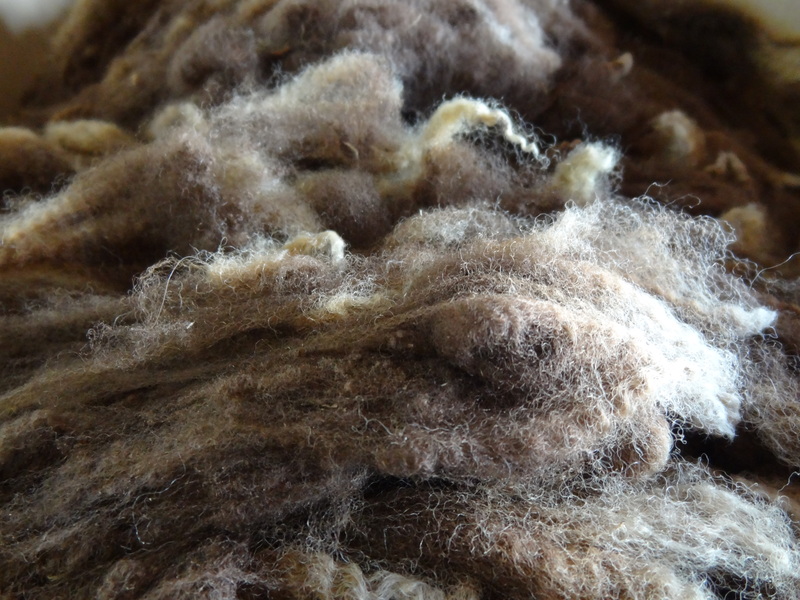 I love the colour – a rustic off-white with the tiniest of dark brown fibres in it. What It Is Like to Knit With: Very pleasant to knit with, strong, smooth, no shedding, no irritability. Breakability: Can break with your hands with a solid tug. Still feels very strong. The Unwashed Swatch: I cast on with 4mm needles and knit a square in the round with 20 rounds of stockinette and then 16 rounds of garter. Unblocked, the swatch measures 8.5 inches x 8.5 inches. It looks very firm and substantial. Both stitches are crisp and well defined. No halo, bit of curling at the corners due to the increases. Will be interesting to see if these smooth out in the blocking. After the First Wash and Block: No difference as far as I could tell in softness. Stitches stayed crisp, very little halo or fuzziness. No real visible sign of blooming. I wore the swatch against my hip for about six hours including a two mile walk. I mostly forgot it was there. No itchy factor at all and no reaction to bare skin. Have rubbed it hard and a miniscule amount of fibres rose to the surface. I think this is a wool that would be fairly pill-resistent. The final swatch measures 9 inches by 9 inches. It has smoothed out wonderfully. It feels slightly softer, miniscule halo, both garter and stockinette stitches look even and crisp. 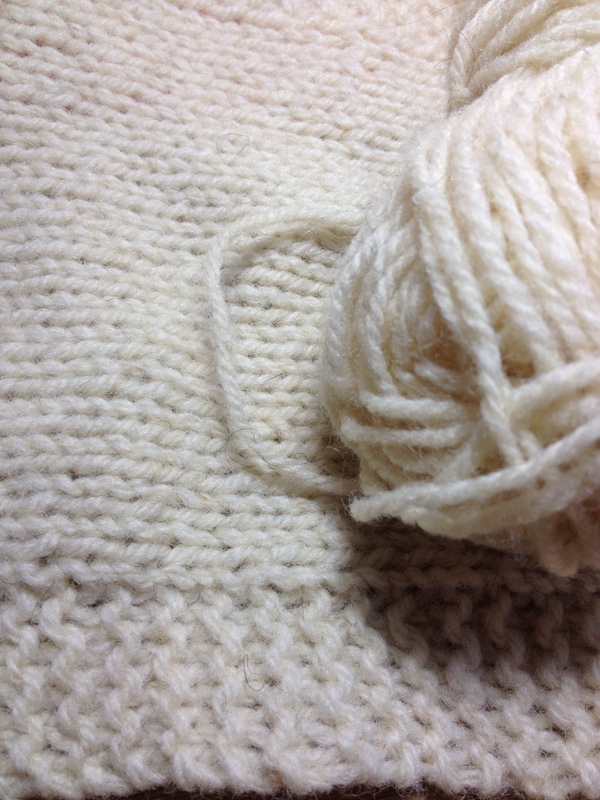 I really loved knitting with this wool. It’s sturdy and strong and yet not itchy at all. I can see this working wonderfully for aran cabled sweaters, cozy cardigans, warm mittens and hats, and also blankets. It is clear from the photo how smoothly the Norfolk Horn has knitted up, but the notes give us such a depth of knowledge of that yarn. I am sure you will agree that there is a whole world of information which can be gleaned from swatching. | What are you waiting for? Cast on! The SAL is the perfect way to celebrate wool this WOVEMBER and don’t forget you can enter your finished swatch into our WOVEMBER WAL! In addition to tagging any finished swatches #breedswatchalong on Twitter and Instagram, you should also tag it #WOVEMBERWAL to ensure entry! Images and content Louise Scollay, unless otherwise stated.